Kathy LeMay, of RE/MAX Alliance, celebrates National Military Appreciation Month and her one-year anniversary of involvement with Homes for Our Troops. Kathy LeMay, a RE/MAX Alliance Realtor, marked May, which is National Military Appreciation Month, as her one-year anniversary of pledging a donation for every sale made in support of Homes for Our Troops, whose mission is to build mortgage-free, specially adapted homes nationwide for severely injured post-9/11 veterans. “It’s been an honor to help our nation’s heroes, who sacrificed so much, rebuild their lives,” said LeMay, a certified Veterans Real Estate Benefits (VREB) agent. LeMay’s donations thus far have mostly benefited a Marine Lance Corporal, for whom Homes for Our Troops is currently building a home in Golden, CO. The Marine lost his right leg, left thumb and index finger and suffered burns on over 60% of his body after being injured in an improvised explosive device (IED) blast in Iraq. Having a new home with lower countertops in the kitchen and a bathroom with a roll-in shower will help him more easily perform daily activities. To help support Homes for Our Troops, please visit http://www.hfotusa.org/How_to_Help. 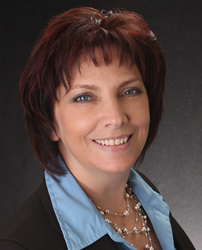 RE/MAX broker associate Kathy LeMay specializes in military relocation, buyer brokerage, new construction, and short sales. Kathy serves the Westminster, Arvada, Northglenn, Wheat Ridge, Thornton, Broomfield and Brighton, CO, areas. For more information, please call (303) 565-0884, or visit http://www.recolorado.com/kathy-lemay. The office is located at 9737 Wadsworth Pkwy., Westminster, CO.